Researchers went high in the sky to find out what's shakin' below the Earth. 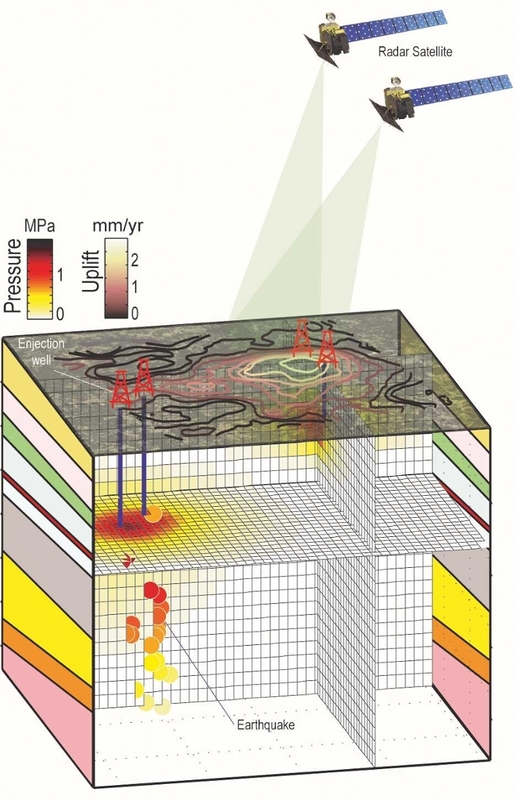 What they saw conclusively links seismic activity to wastewater injections. Between 2009 and 2015 earthquakes increased in the eastern and central parts of the United States. To learn why, Manoochehr Shirzaei of Arizona State University’s School of Earth and Space Exploration used space-borne Interferometric Synthetic Aperture Radar (InSAR) to illuminate large areas of the Earth’s surface and produce surface deformation maps. “Our study reports the very first observations of surface uplift caused by wastewater injection,” Shirzaei says. Some of the wastewater can be a byproduct of fracking, which is a process used to extract fuel from beneath the Earth. 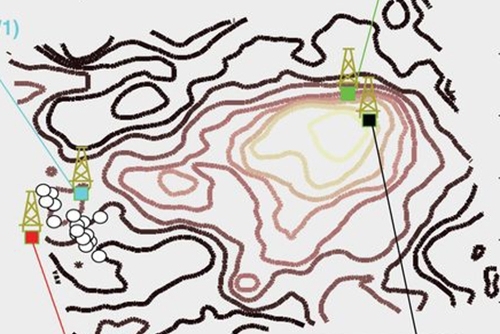 According to Shirzaei, the researchers at his Remote Sensing and Tectonic Geodesy Laboratory (RaTLab) did not discriminate in regards to where the wastewater came from. 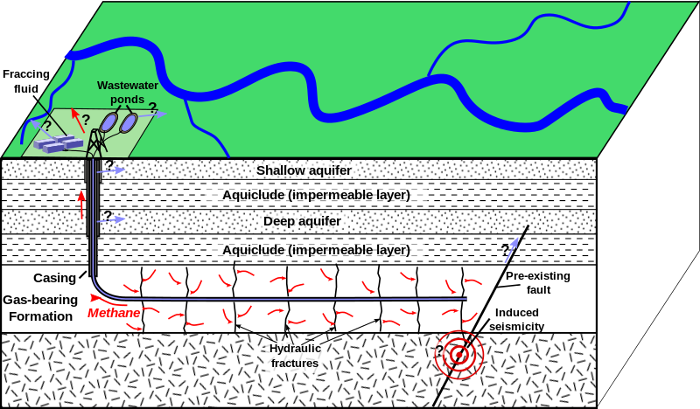 The US Environmental Protection Agency (EPA) explains how an injection well can be used to introduce fluid underground into porous geologic formations. The formations can range from sandstone to shallow soil and the injected fluids can include water, wastewater, brine, or water mixed with chemicals. Shirzaei's research built on a study of earthquakes that occured between 2009 and 2015 throughout the eastern and central US. Over 1,570 of these events had a magnitude greater than or equal to 3.0 on the moment magnitude scale. “Many of these events occurred in close proximity of injection wells and the seismicity was preceded by high volume fluid injection over a period of months to years, suggesting a link between seismicity and injection operations,” Shirzaei says. 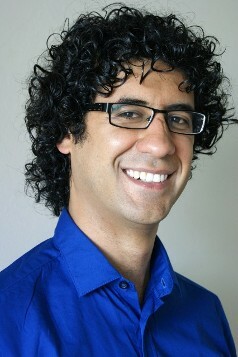 The InSAR tools proved to be an important resource for Shirzaei’s research. According to the US Geological Survey, InSAR collects radar images of the Earth’s surface from orbiting satellites. Images taken of the same surface area can be compared over a period of time, highlighting changes. Shirzaei’s team used a small computing cluster (affectionately dubbed ‘Frankie’) at RaTLab to complete the image analysis and advanced Linux programming to automate the procedure. Shirzaei's findings could add to an already contentious area. Concerns over fracking's potential dangers — and the role of wastewater injections — have led to fierce debate among environmental activists and oil and natural gas supporters. However, a study from Dartmouth University published last year explains how fracking created approximately 725,000 jobs in the US between 2005 and 2012. On the flip side, Shirzaei's research could positively impact the fracking industry (even though it did not explicitly focus on fracking). Shirzaei’s findings could open a way for wastewater injection sites to be managed responsibly to prevent future earthquakes.